A very detailed table made from a big log. 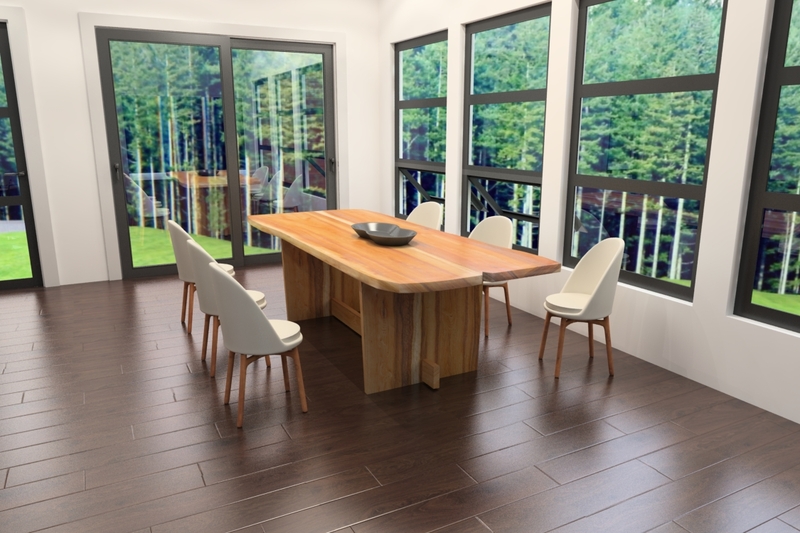 The chairs are included, download it in obj - fbx -mb. Detailed natural wood dining table set 3d model with chairs included. This modern organic wood table will add a urban stylish shape to your interior dinning room renders by showcasing nature with this one piece wood tabel that is cut from a single log. Download it in obj - fbx -mb. Texture included shading not included.